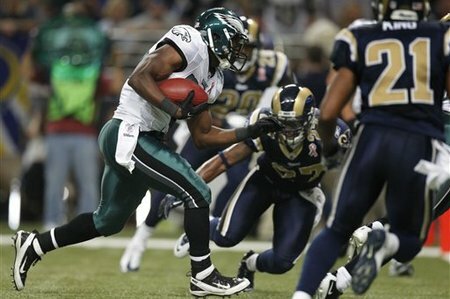 The Philadelphia Eagles opened their 2011 NFL Season against the St. Louis Rams at the Edward Jones Dome. The Eagles entered the game with a ton of hype, after Vince Young jokingly called Philadelphia the ‘Dream Team,’ but mainly due to an entire laundry list of high profile free agents the Eagles signed this off-season. St. Louis entered the game after a successful 2010 campaign, and were looking to build and improve by taking down the much-hyped Philadelphia squad. The Eagles Rushing Defense is Big Concern – The Eagles linebackers were nothing short of questionable heading into this season. Those fears were confirmed against the Rams, as they had no trouble running the ball. Luckily for the Eagles, Steven Jackson, the Rams Pro-Bowl rusher, went out of the game early on following a thigh injury and was unable to return. However, Cadillac Williams still took off and exploded for 91 yards. Combine that with Jackson’s first rush of the game going for a 40+ yard touchdown, and a solid game from Williams, and the Eagles have a problem. 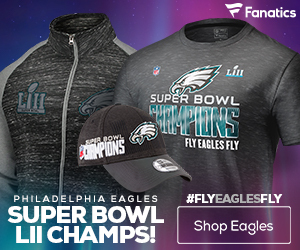 DeSean Jackson is Playing For a New Contract – DeSean Jackson didn’t get his new contract extension this off-season, and the Eagles elected to lock Michael Vick in for another five years. Jackson knows that the Eagles could easily decide to let him walk at the end of this season if he does not perform, overall lowering his value as a free agent. But this game, Jackson was red-hot and hitting his stride with Vick to the tune of 102 yards and a touchdown. Michael Vick Looks as Solid as Ever – Michael Vick received his five-year extension this off-season, making him the $100 million dollar man, and he had a lot to prove in his first game as a starter. Prove he did, by showing up and delivering strikes out of the backfield to a whole variety of receivers, throwing for 187 yards and two touchdowns. Also adding on another 98 yards rushing, reflecting that he still has the ability to run, and the ability to pass all the same. 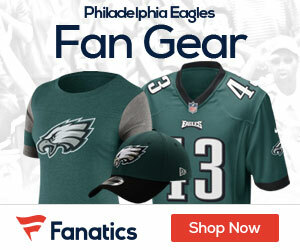 Philadelphia’s Defensive Line Was Nothing Short of Amazing – The Eagles didn’t just make a huge splash in free agency by signing Nnamdi Asomugha, but also by locating and signing two of the biggest name defensive line free agents. Both Jason Babin and Cullen Jenkins made their presence felt against the Rams, as the entire unit racked up a whopping 5 sacks on St. Louis offensive line. Combine that with one forced fumble returned for a touchdown, and they were a huge key to the Eagles win. LeSean McCoy is Still The Closer – Last season LeSean McCoy excelled at closing out teams late in games with explosive and deadly runs. In the opening game of this season, McCoy was no different as he ripped St. Louis’ defense late in the fourth to ensure a clean victory. He not only rushed for 122 yards on 15 carries, but also scored on both a rushing and passing touchdown to compliment his opening day.